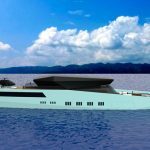 Gorgeous Jolly Roger Yacht project was launched by Benetti Design Innovation to bring you new concepts for custom boats which vary from 50 to 90-meters. 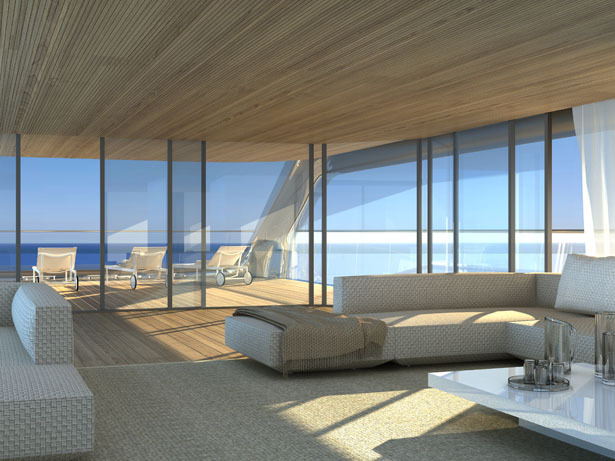 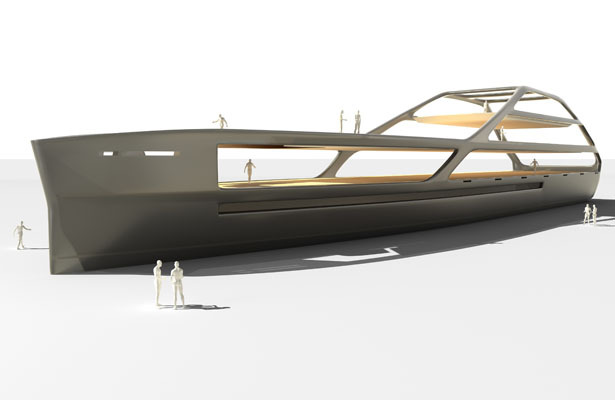 Designed by Ludovica + Roberto Palomba, this innovative yacht features 65-meters with elegant appearance. 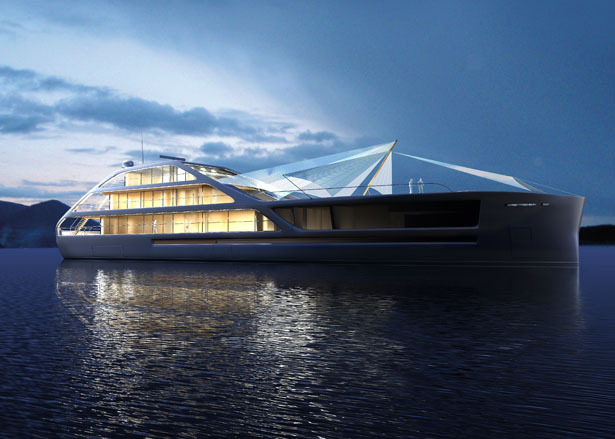 Together the architect and designer were toying with the idea to create high-powered car of the sea, resulting aristocratic and futuristic yacht as you can see here. 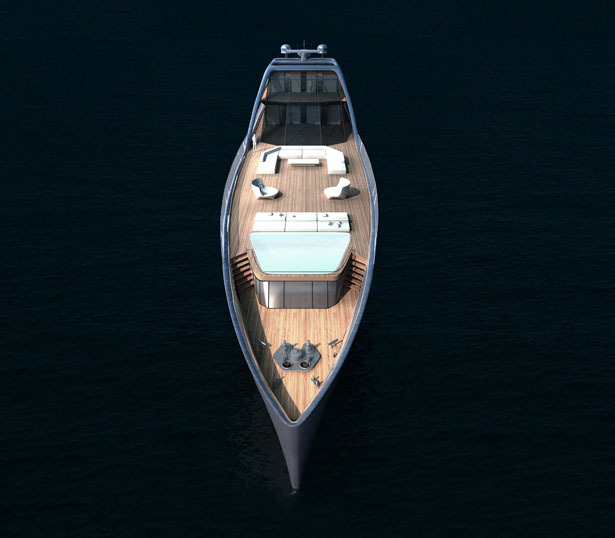 In order to lighten the volume, the decks are supported by a system of “ribs equipped” which also allows large sized windows to be used, it represents the element of power as typical of Benetti character. 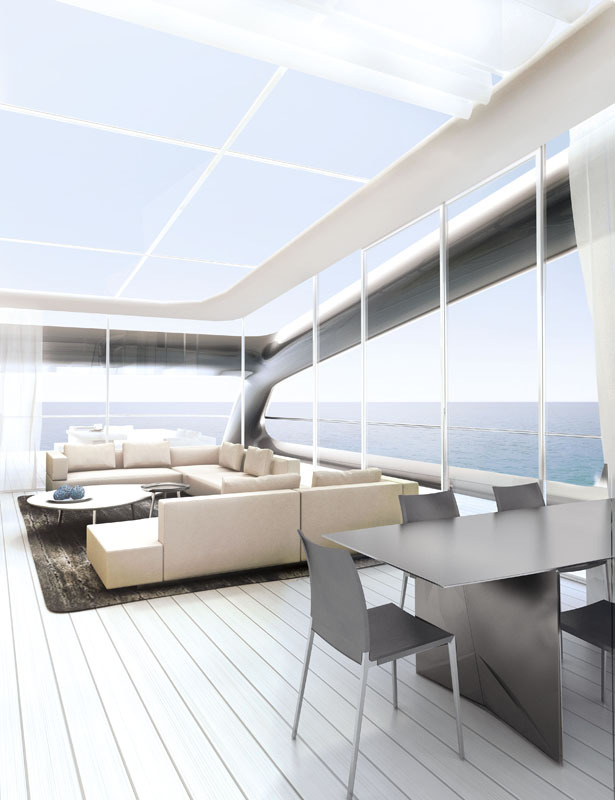 Living or Social space can use the long deck at the bow. 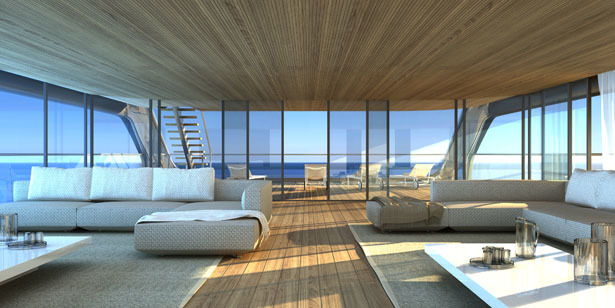 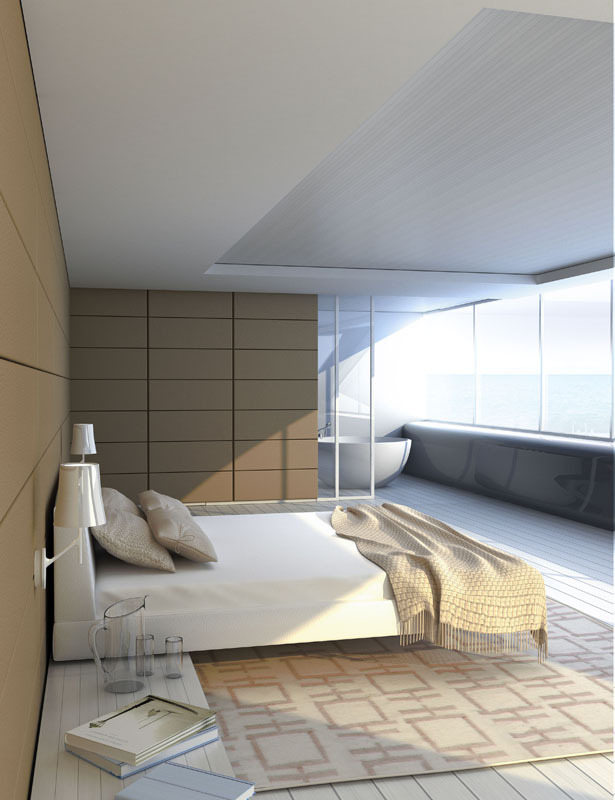 The yacht owner can enjoy the entire floor at the top deck, a nice, privileged position which allows the owner to gaze at the sky through a removable cover. 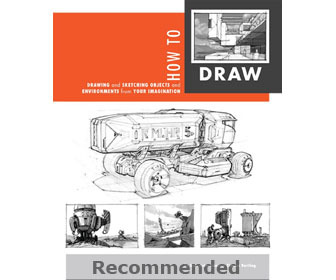 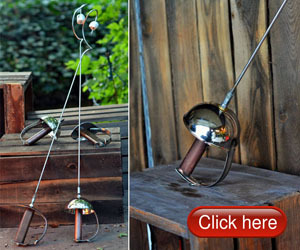 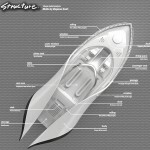 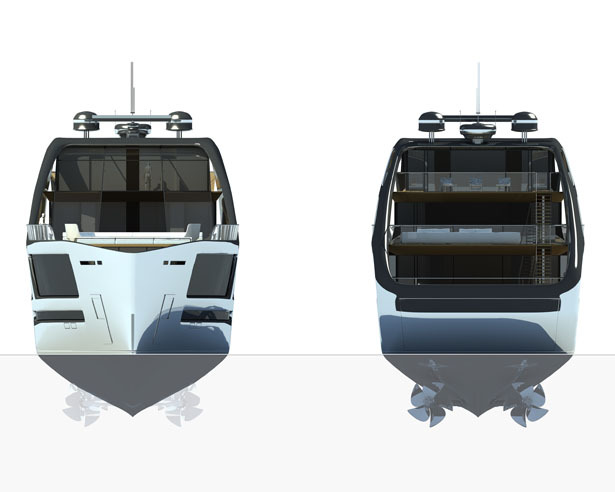 Sleek and fluidity lines embrace the dynamism of the shape even the full and wide long deck. 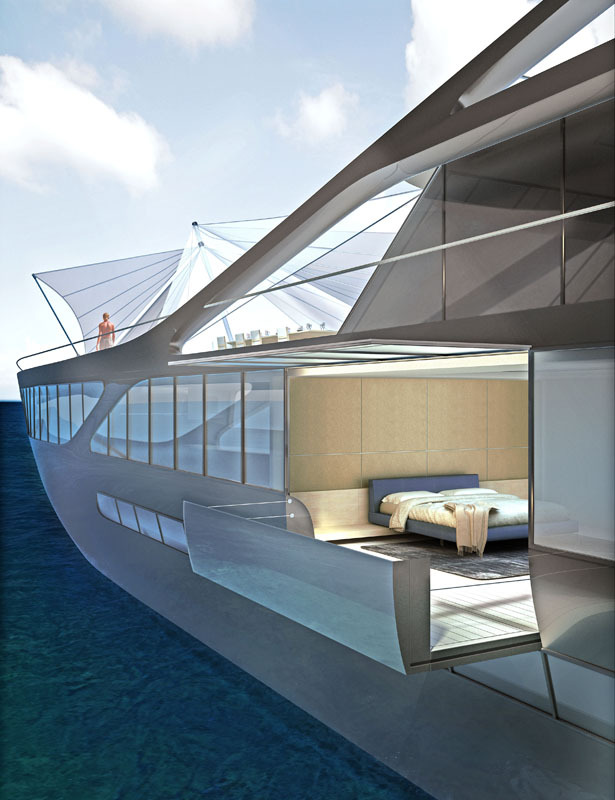 Actually Ludovico and Roberto had never ventured into marine field, thus making them to propose innovative, new, and interesting design. 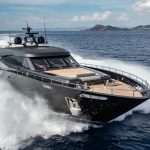 At first, Jolly Roger Yacht seems to have discontinuity but at a closer look, it reveals undeniable consistency. 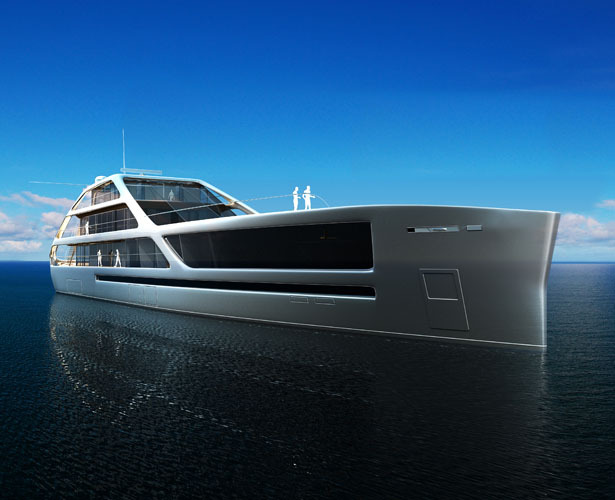 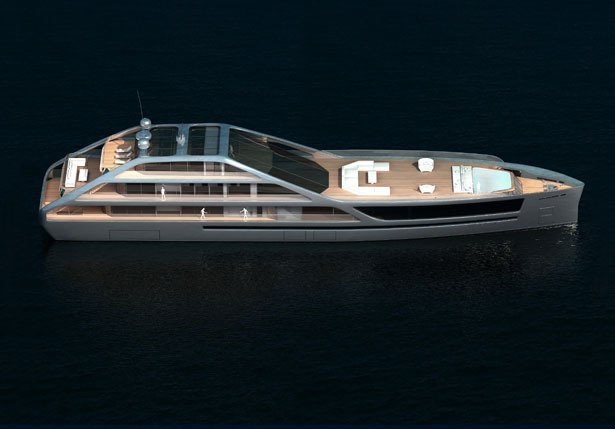 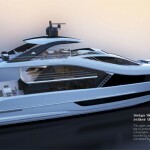 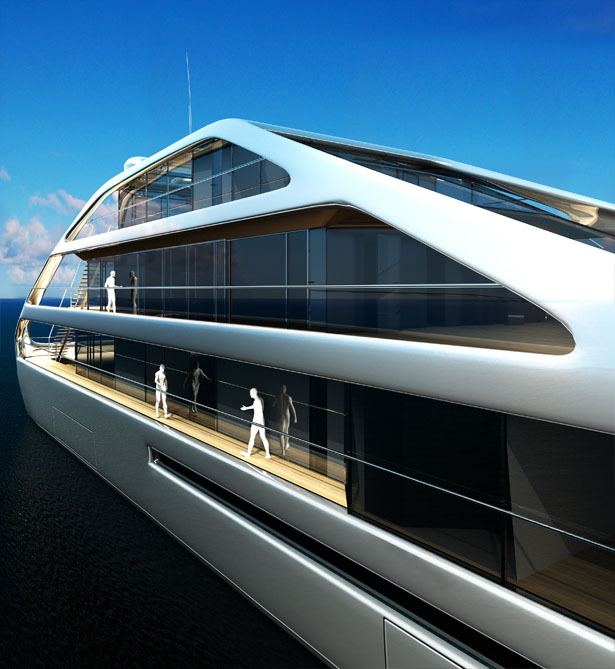 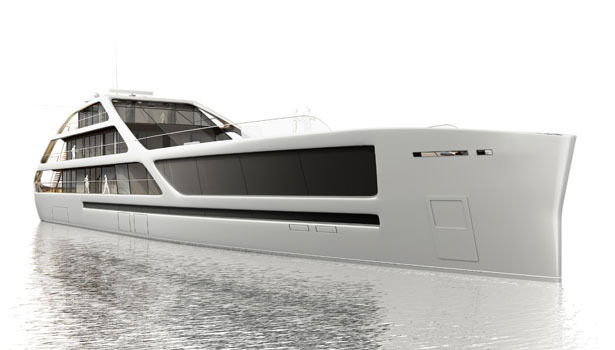 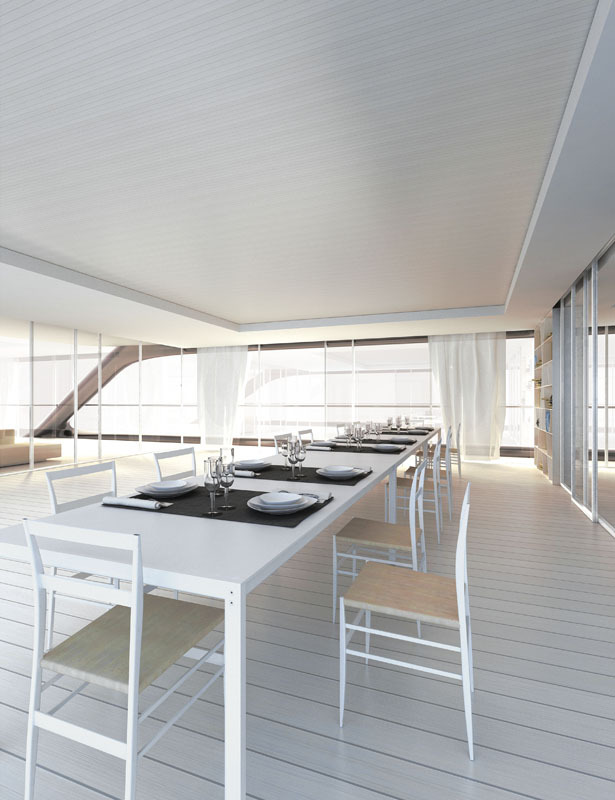 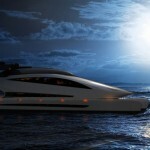 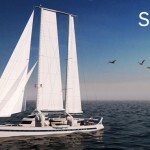 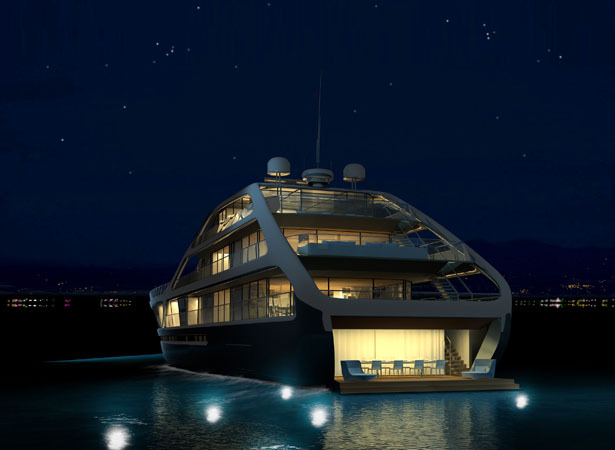 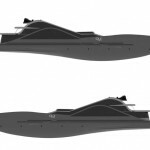 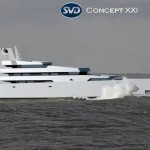 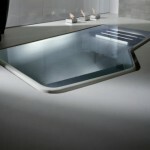 Tagged as elegant appearance, fluidity, interesting design, privileged position, social space, top deck, yacht owner.